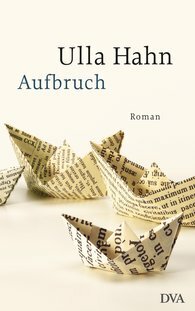 Bestselling author and poet Ulla Hahn has written another impressive epic that sensitively tells of growing up, awakening and maturing. The path her life will take is apparently already mapped out: a kid, school runs and slaving over the kitchen sink. Yet Hilla dreams of getting away from her village on the Rhine. There is nothing that will make the daughter of ordinary people abandon her longing for intellectual freedom. Then, out of the blue, a new life opens up for her: A-levels, university, the future she has chosen for herself is at her feet. Departure is a moving look into the soul of a courageous and yet so vulnerable young woman. At the same time it vividly and with epic temperament draws a detailed picture of social life in the mid-1960s in West Germany.